Alicia Parlette- I had no idea she existed until I stumbled upon an announcement of her death recently. 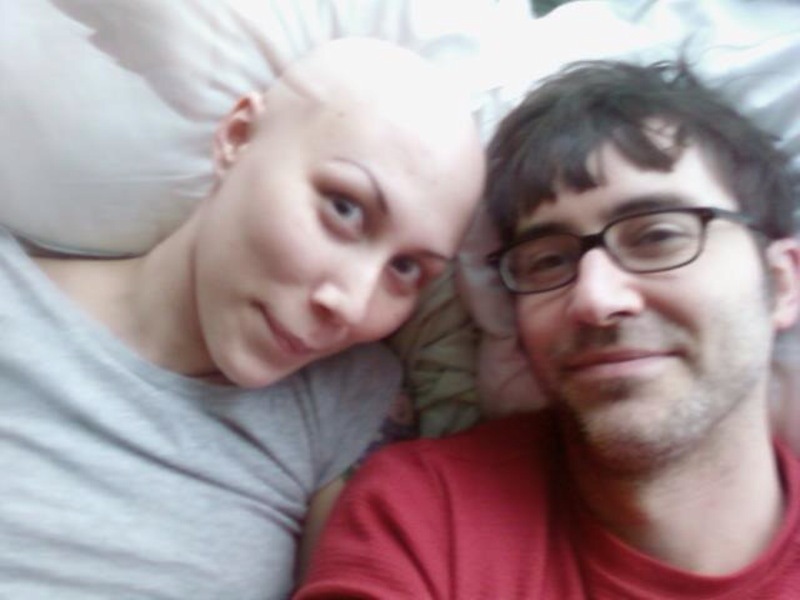 A writer living in SF who discovered she had sarcoma at 23, Alicia kept a blog about her cancer experience on the SF Chronicle web site. It's a dress with a tumor; how cancer-centric can I get?? I've decided that if my yearly scan is clear, I'm going to retire this blog for the time being. It is what I wanted it to be- a candid documentation of cancer treatment. It's over now, and I doubt anyone wants to hear about my chronic pain every few weeks. and if it's back... well, I'll get to take you on a whole new adventure. My birthday is in a few weeks... no, not my legal birthday, but the day I went from living dead to just plain living again. May 1st was my last day of chemo. It's the day I got out of prison... I can't believe it's been a whole year. It feels like just a few months have passed. Deadline for my senior collection garments: this Friday. I have been working SO HARD. A whirlwind of work. Stitching still my eyes burn and my fingers bleed (literally!). I pulled an all-nighter, which is requisite college behavior, no? I was able to work through the night but my body retaliated soon after: fever and sweats, a debilitating migraine, and vomiting/heaving for the subsequent weekend. I'm still learning my body's limits, even a year after the fact.